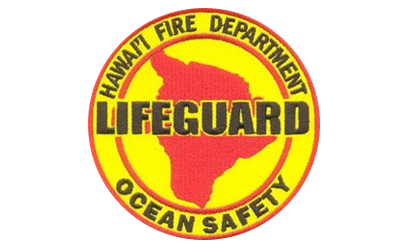 Beach warning signs are posted by safety officials at lifeguard protected beaches to alert and warn beachgoers of hazardous conditions. Always read and obey any and all posted signs. 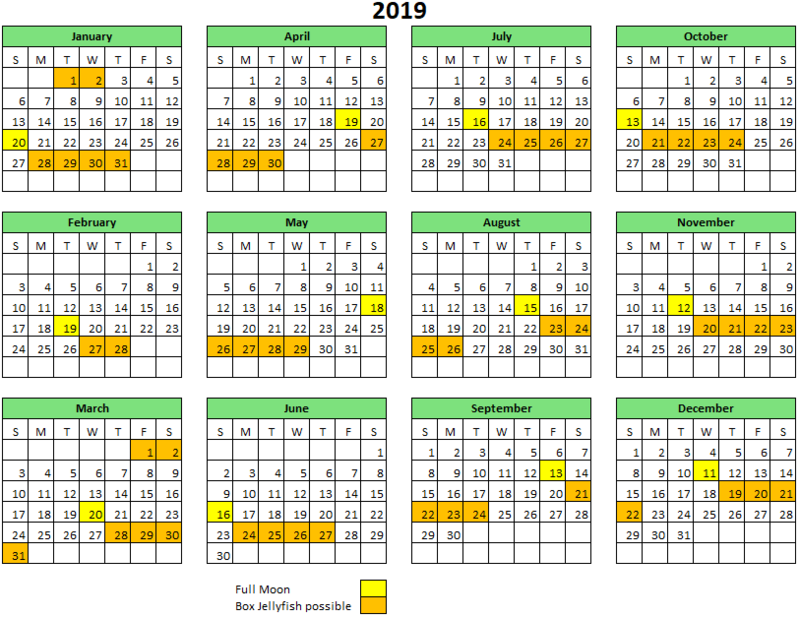 Ocean conditions can change quickly, and the absence of a particular sign does not mean there is no threat of a hazardous condition. 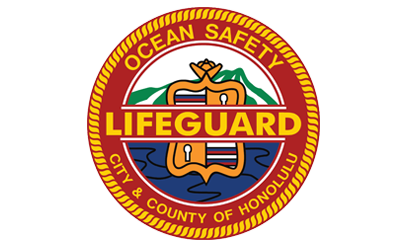 Ask a lifeguard if you have questions before you enter the water, and always proceed with caution. Shorebreak is an unpredictable ocean condition when waves break directly onshore. 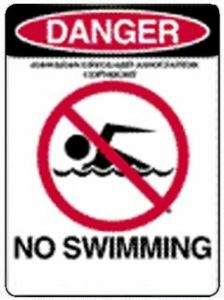 Serious head, neck and back injuries can occur, even in shallow water. Strong currents are powerful and fast-moving channels of water that are difficult to swim against. Strong currents frequently accompany high surf and rapid tide changes and can be recognized as a turbulent channel of water between areas where waves are breaking. 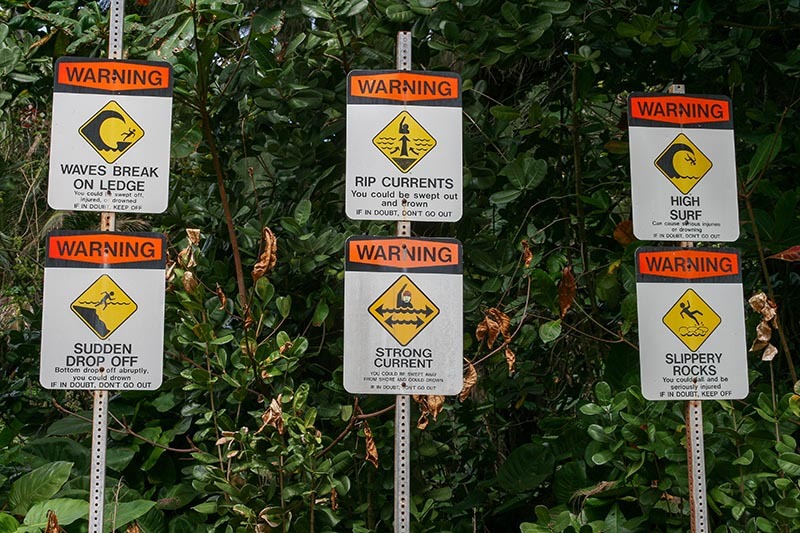 This sign warns of large, powerful and dangerous wave conditions in the area. 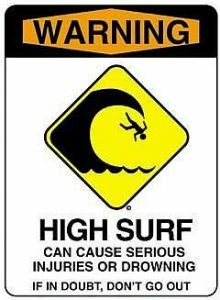 If you are uncertain about your abilities, avoid entering the ocean during high surf. High surf conditions can occur seasonally on all shores. 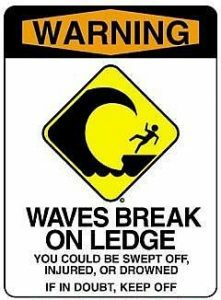 This sign is posted to advise beachgoers of extreme life-threatening conditions. 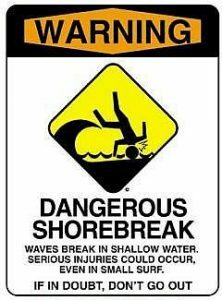 Beachgoers should not enter the water when this sign is posted. 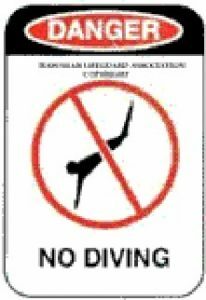 This sign is posted in areas with shallow waters or waters of unknown depth. Diving in these areas may result in a swimmer striking the bottom, resulting in serious, debilitating injuries. 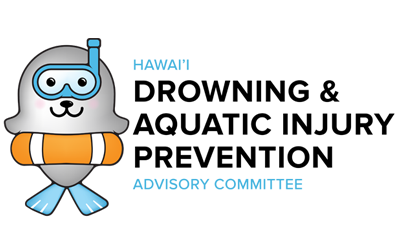 Never dive into shallow or murky water. Water depth can change abruptly, from wading depth to over your head. 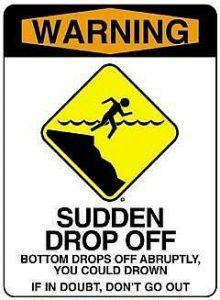 Avoid ledges and drop-offs, especially if you are not a strong swimmer. 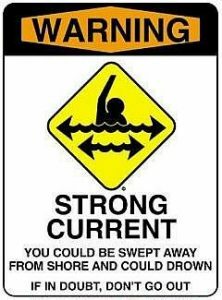 Beware of strong currents which commonly run parallel to drop off areas. 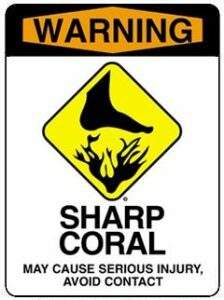 Most Hawaii beaches have sharp coral reefs close to the shoreline. Coral is a fragile, living animal, so avoid touching, kicking or standing on coral to protect yourself and the coral from being damaged. Foot protection is advised. If you are injured from coral, see a lifeguard for minor first aid assistance. If coral becomes embedded deeply, see your doctor as soon as possible to have it removed and avoid the risk of infection. This sign is posted when waves break on rocky ledges. This condition can happen suddenly and unexpectedly, even when the water appears calm or the ledge appears dry. Be cautious when walking along rocky coastlines where waves are breaking and always keep an eye on the ocean’s activity. Rocks become slippery and waves may come over the top of the ledge. Never go into the wet rocky zone as you could unexpectedly be swept away by a large wave. Moss and algae may form along the shoreline, causing rocks to become very slippery. Waves may cause you to fall while standing or walking on slippery rocks, resulting in serious injury. 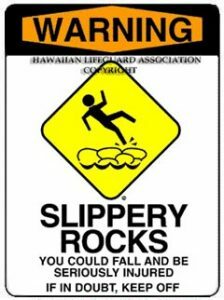 Use extreme caution when walking along rocky shorelines. Box Jellyfish regularly swarm to Hawaii’s south and leeward (west) shores 9 to 10 days after the full moon. Portuguese man-o-war are most commonly found along bays and beaches during strong onshore winds. 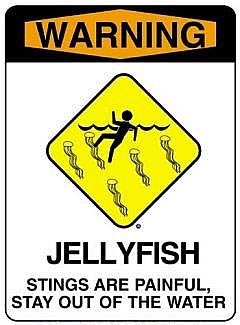 Don’t go into areas where jellyfish or man-o-war have been sighted, or if dead ones are seen on the beach. 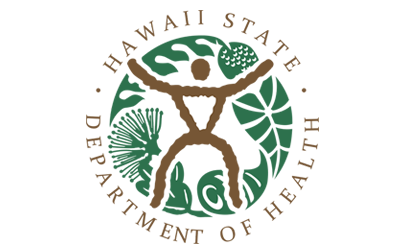 Symptoms of a sting include stinging, burning, redness, swelling of lymph nodes and in cases of severe reactions may be life threatening. 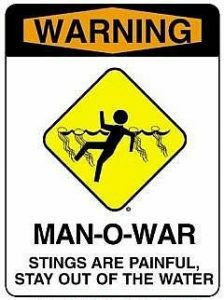 Particularly, box jellyfish stings can lead to severe injury and permanent scarring. 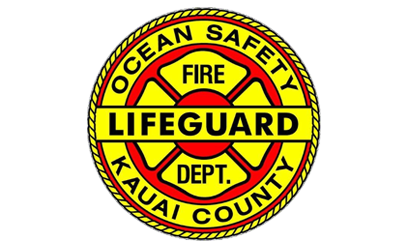 If you get stung, see a lifeguard for assistance or seek medical attention immediately. 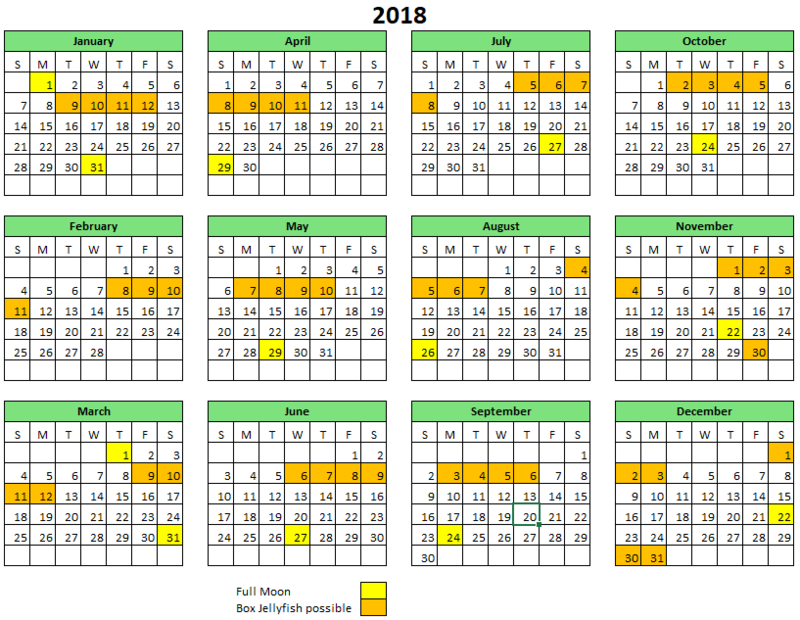 When a shark is sighted or a shark bite has occurred, lifeguards and other coastal authorities will warn beachgoers in the vicinity of the incident. 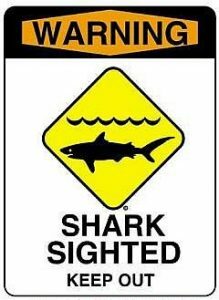 Do not enter the water in areas where signs are posted, and obey all warnings to clear out of the water when a shark is sighted. 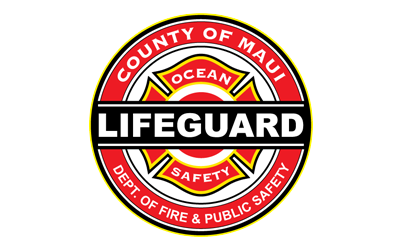 If you see or encounter a shark, notify Ocean Safety Personnel or call 911 immediately. While shark attacks are rare, they can still happen on Hawaii beaches.